We partner with the following organizations to increase citizen engagement in the Granite State. Click on an organization’s name to learn more about the organization and our partnership with them. The entities included among our roster of partners are those whose work and values are in accord with our mission of facilitating citizen engagement in New Hampshire in a nonpartisan way. Each partner has their own unique approach to this mission and together complement our own efforts. Constitutionally Speaking aims to inspire spirited, yet civil, dialogue among New Hampshire citizens about the Nation's founding document - and to promote the reintroduction of meaningful civics education in grades K-12 in schools throughout the state. The yearlong pilot project invites citizens young and old to join the discussion around its framing question: "How Does the Constitution Keep Up with the Times?" New Hampshire has a proud tradition of participation in the democratic process. A strong democracy requires broad participation and students have an important perspective. The Community College Civic Engagement Program is being launched to make the process more accessible to our student population. New Hampshire’s unique status as host of the First-in-the-Nation Presidential Primary offers an ideal opportunity to highlight the Community Colleges and the special role they play in New Hampshire. The New Hampshire Institute of Politics & Political Library was founded on the premise that an educated citizenry is vital for a healthy democracy. Since its doors opened in 2001, the Institute has provided a nonpartisan forum for discussion and debate on all aspects of the American political process. Its mission is to educate, engage and empower citizens to participate in the civic and political life of their local, national and global communities. NH Listens is a civic engagement initiative of the Carsey Institute at the University of New Hampshire. Since 2011, we have worked at the local and state level to support civil, public deliberation of complex issues affecting New Hampshire residents’ everyday lives. We work with local and state leaders to share resources on dialogue design, train facilitators, and help towns create their own Listens communities. We are committed to neutrality in all the work we carry out to meet our mission of creating and sustaining a fair process for public engagement and action. 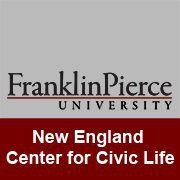 The Center for Civic Life is dedicated to the teaching, practice and study of deliberative democracy. The Center's initiatives and research are based on the premise that in order to foster strong communities, based on principles of inclusiveness and equity, individuals must engage in thoughtful and civil dialogue. The Center serves as a resource for students, higher education professionals and community members. NHBR is the Granite State’s oldest and only statewide business newspaper, in publication since 1978. New Hampshire decision-makers turn to NHBR in print and for authoritative and in-depth coverage in print and online. New Hampshire Granite State Ambassadors add value to state agencies, local businesses, and individuals through a training and service support network that sustains and enhances the New Hampshire experience. 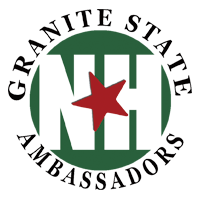 Over the past decade our Granite State Ambassadors have worked tirelessly to promote and protect our sense of place by valuing both built and natural environments, culture, aesthetics, heritage, and the well-being our residents and guests alike. Since 1981, NHPR has shaped the media landscape in the Granite State and beyond. NHPR is broadcast from 12 different sites, making it by far New Hampshire’s largest (and only) statewide radio news service. Every week NHPR is the choice of more than 172,600 listeners as a primary source of in-depth and intelligent news coverage.